I am Timothy Wangila and because our family is poor, I have not started school. There are 6 children in my family. Burning charcoal is the only job my father can get and my mother does casual jobs within the community. In our family putting food on the table is a problem because of the types of the jobs my parents are doing. These jobs don’t provide enough money for my education or basic needs. Because in education we need, many things but they can’t afford. My older brothers and sisters only go to school part time because of the lack of school fees, uniform and books. I want to be a high school teacher. I also want to stay near to my parents to assist them. I would love them to enjoy a better life like the one other people are enjoy. However, the way things are now, I don’t think I will manage it. I still don’t have the support that can take me to my dream. I need someone that is willing to help reach me dreams. With your help, life can change drastically in our home and it will be my pleasure for the family to enjoy the life that I never got to enjoy when I was young. I like singing, dancing, praying, cooking and ballgames. 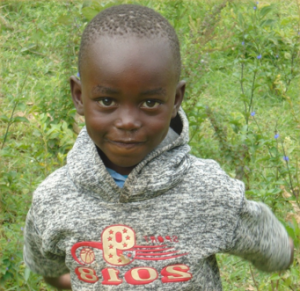 When you sponsor a child like Timothy Wangila, you not only help this individual child. But helping Timothy also helps his community. We are building a self-sufficient, eco-friendly Children’s Village. Part of your donation will go towards building schools and houses so that Timothy can have a brighter future. Here is how you can sponsor Timothy.